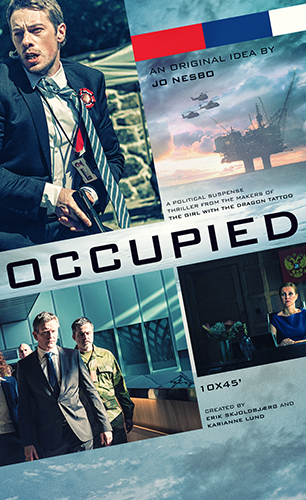 Okay, I admit that the premise of Norwegian television's new political thriller series "Occupied" is far-fetched. But that premise is a window on just how addicted to fossil fuels we are. "Down" is such a downer word. That's why when prices fall for practically anything Wall Street wants to sell you, Wall Streeters talk about volatility instead. Volatility allows for the possibility that prices will recover soon and go to new highs. Any setback is just temporary. The market turbulence, it seems, is merely designed by invisible market gods to test your character as a long-term investor. Don't give in to panic, the investment people say, and you'll be rewarded. A year ago I said the crash in commodity prices signaled a weak economy and that financial markets would eventually have to reflect this fact. The widely watched S&P 500 Index closed at 1,994.99 on January 30, 2015 just prior to the publication of the linked piece. Last Friday's close was 1906.90. The U.S. stock market hasn't exactly reflected the weakness in commodities, but it hasn't gained any ground either. The great condensate con: Is the oil glut just about oil? My favorite Texas oilman Jeffrey Brown is at it again. In a recent email he's pointing out to everyone who will listen that the supposed oversupply of crude oil isn't quite what it seems. Yes, there is a large overhang of excess oil in the market. But how much of that oversupply is honest-to-god oil and how much is so-called lease condensate which gets carelessly lumped in with crude oil? And, why is this important to understanding the true state of world oil supplies? In order to answer these questions we need to get some preliminaries out of the way. Refiners are already complaining that so-called "blended crudes" contain too much lease condensate, and they are seeking out better crudes straight from the wellhead. Brown has dubbed all of this the great condensate con. Circumstances have conspired to prevent me from writing a post this week. I should be back next week Sunday, January 17. I'm taking a short break and expect to post again on Sunday, January 10.